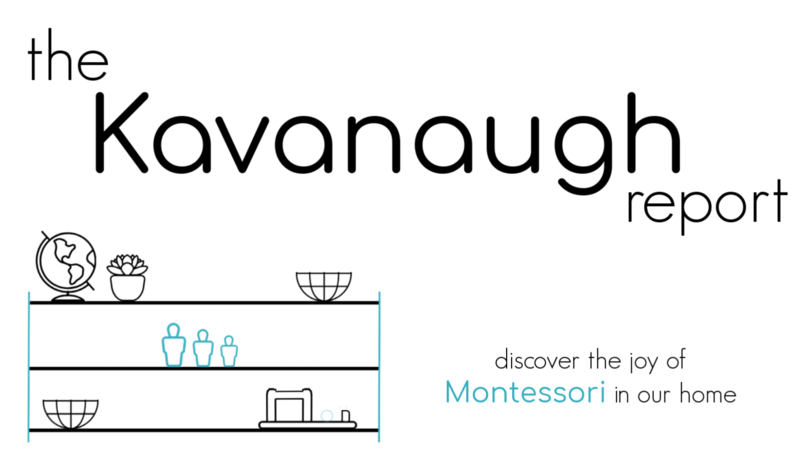 Here is another part in my Montessori friendly play series! This has been so much fun to put together and I love these older baby toys! In this timeline, another shift has occurred, babies aren't just randomly grasping any more, but they are using that grasp to do something the object. They are making more and more purposeful movements, starting to get places, and starting to do things. This is one of my personal favorite ages. 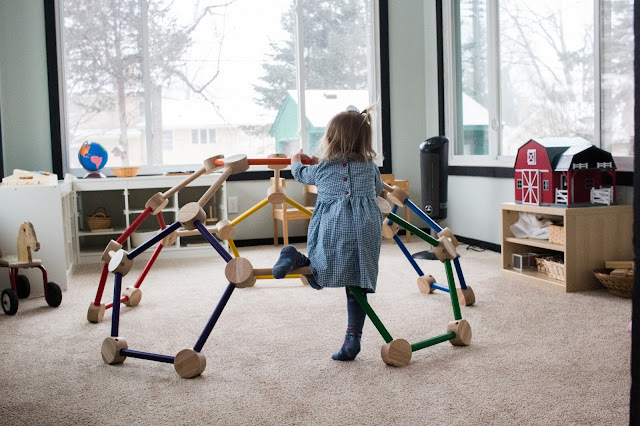 Remember, this is just one possible way to introduce Montessori materials to your baby. You do not need everything on this list, and your baby might not enjoy everything on these lists at the exact time listed. These are approximate and will change slightly based on each individual child! Use this as a guide and not a strict schedule. This is particularly true here, where your child's ability to sit independently might influence the time they are able to complete some of these tasks. 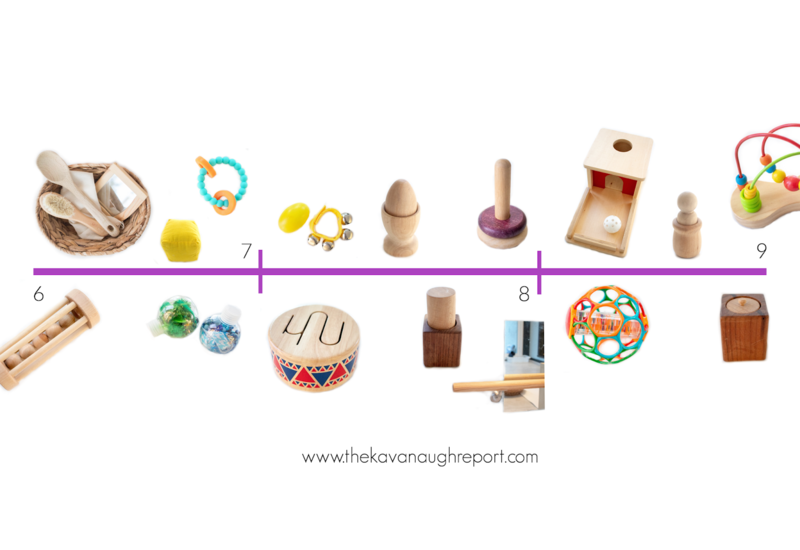 Here's a look at Montessori friendly play from 6 to 9 months! These large ball rollers are similar to the bell rollers from the last timeline. But, they are a bit bigger. They are meant to help encourage a baby to crawl and roll after the object. They often have colorful balls inside and make a very pleasing noise as they roll. Treasure baskets are an amazing way for your baby to explore. 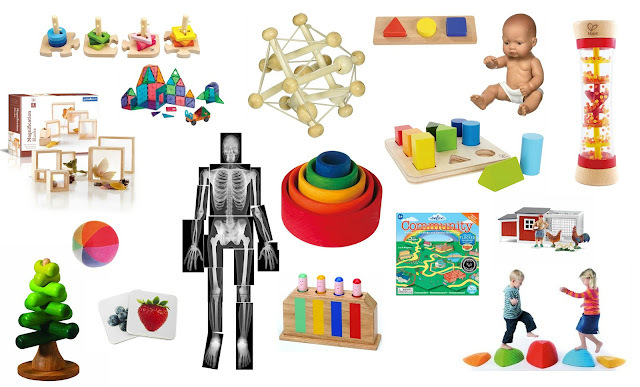 They basically consist of a basket full of a bunch of interesting things for your baby. These will be popular with your baby for a long time. Often you can even take those rattles and toys your baby was using as a little baby (1 at a time) and put them all together to make one. They can also include natural items or safe items from around the house. Around this age, babies will love to start to grab more than one thing at a time and eventually bring those hands together. This could be to bang and then eventually stack the blocks. We start with large fabric blocks that I made, but baby friendly wooden blocks are also available. Often just a couple in a basket is enough! Sensory bottles are a fun way to let your baby explore smaller objects that might not be safe on their own. These can be colors, liquids, or small natural items. Place in a small jar and let your baby explore. I'm adding these back on the list just to remind everyone that teething needs remain strong, and you can continue to use them. Instead of presenting one at a time, you can try several in a basket. As baby gets better at grasping adding musical instruments to the environment is really fun. These help to connect the baby's movement to the sound, plus baby's love to dance! Just make sure any loose parts are safe for baby to chew - because exploration with the mouth will happen. Another way to incorporate music and movement with your baby is a drum. A small and simple drum can provide a lot of engagement by your baby. They love to bang with that new control. 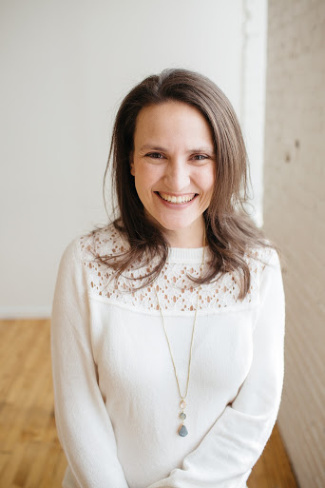 The egg in cup is one of the first works that your baby is purposefully completing a specific action - in and out. The shape of the egg is easy for that beginning grasp and it brings so much satisfaction to place the egg in and take it out of the cup. This can be purchased, or DIYed. The palmer grasp block is similar to the egg in cup in that it is early in and out work for your baby. It is a bit more precise since the cylinder needs to be placed just right to work. Its awesome for wrist development and hand-eye coordination. First, I want to say that my example pictured is not the best. Ideally, the first ring stacker should have a graduated base (wider at the bottom than the top) and larger holes. Start with a couple rings, and add more as you go! I just pictured what we have, and it works alright, but its not self correcting and is harder for a baby to use since the hole is smaller. The pull up bar is one of the first ways your baby can start to consciously pull up in your environment. It is hung low to allow for independence. The exact age a baby will use this will vary a lot - since baby's develop at their own rates. It is usually accompanied with a mirror so baby can see his or her movements. This is one of my favorite Montessori materials. After exploring in and out, babies can now add a new dimension to their play - in, disappear, out. This helps them understand that objects don't disappear completely just because you can't see them any more. The inside is a ramp so the ball comes out with ease! Gus and Nora were both obsessed with our object permanence box for many months. Adding a larger ball to your environment can help to encourage your child to move and crawl faster and farther. They provide a new gross motor challenge and an interesting change from smaller balls. The peg in cup is another great in and out work for Montessori babies, but here instead of using a whole hand grip, a baby is moving to just using fingers. This is a early pincer grip skill, helping them to strengthen their hands. This is often helpful as babies learn to pick up smaller and smaller bits of food too. The pincer grasp block takes the pincer grasp even further requiring a baby to have a really nice pincer to be able to put the block in and out. This is similar to the peg and cup, but even more precise. Playtime between 6 and 9 months really begins to change from rough movements to very precise action. It's such a fun age! Remember, these ages are just approximate and you should always follow the interests and needs of your own child. Next time, I'll be back with ages 9 to 12 months! Did your 6 to 9 month old love any of these?